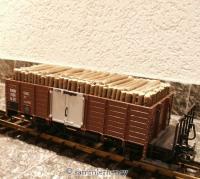 Werkstattwagen von Mo-Miniaturen auf Basis des LGB 4060 SP Rungenwagen. Das Design wurde später von Pola-G übernommen und in einer Kunststoff Kleinauflage angeboten. 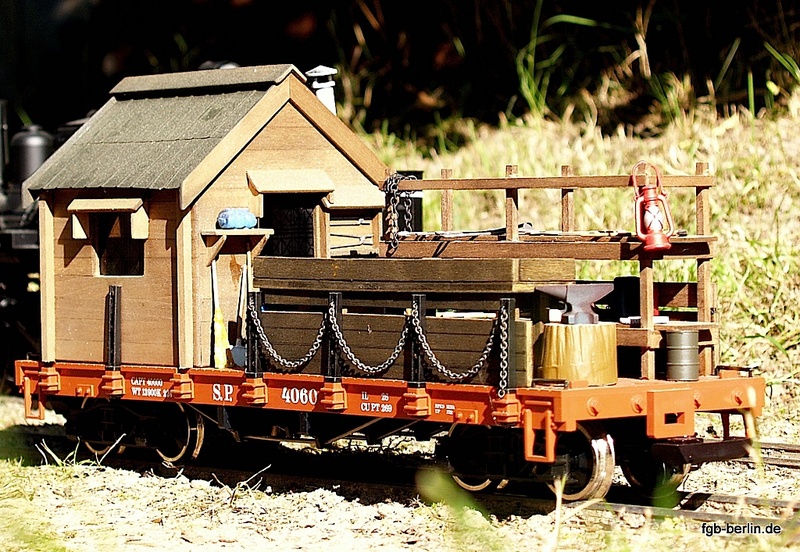 Maintenance car by Mo-Miniaturen (Germany) based on the LGB 4060 SP flat car with stanchions. The design was later acquired by Pola-G and offered as a limited production run with the wooden parts converted to plastic.